Introduce something new to the club scene. 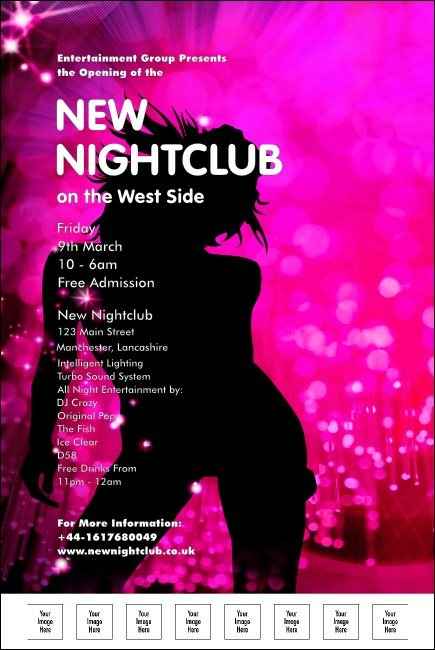 Whether you’re opening a venue or introducing an innovative DJ, the pink Nightclub Poster can help you get guests through the door. Designed in bold colours with the silhouette of a dancer in the background, this poster features eight spaces for your custom images. Get guests to your next event with matching promotional materials from UK Ticket Printing.